Kelley Garvin is the recipient of the Outstanding Dissertation Award for Engineering. Kelley completed the requirements for the Ph.D. in Biomedical Engineering in December 2012 and her thesis is titled Ultrasound Technologies for the Spatial Patterning of Cells and Extracellular Matrix Proteins and the Vascularization of Engineered Tissue. Kelley's Ph.D. research has exciting potential to provide new, noninvasive ultrasound-based fabrication processes that significantly advance the level of complexity of three-dimensional engineered tissues. Her dissertation research resulted in two filed patent applications, numerous peer-reviewed publications, and many presentations at scientific meetings. Kelley has already received national recognition for her work. For two years in a row (2010, 2011), Kelley was awarded First Place in the Best Student Paper Competition at the Meeting of the Acoustical Society of America. Kelley's Ph.D. research was co-mentored by Professor Diane Dalecki and Professor Denise C. Hocking. 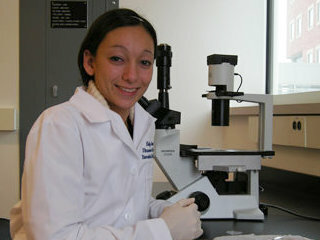 Kelley was also an active student member of the Rochester Center for Biomedical Ultrasound (RCBU). As Wendi Heinzelman, Dean of Graduate Studies for Arts, Sciences and Engineering wrote in her notification letter: This award is testament to your exceptional work as a graduate student at the University of Rochester. We are proud of all your accomplishments. Congratulations, Kelley!